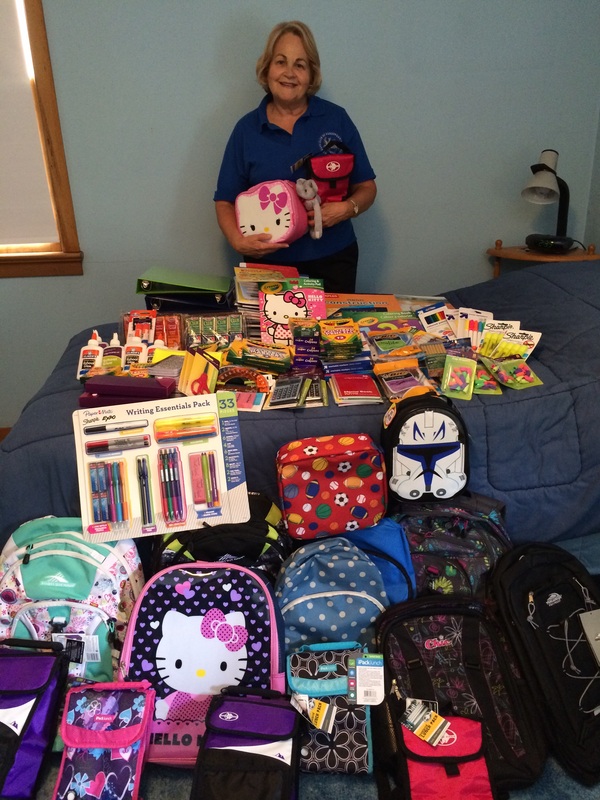 During August, 2014, the Woman’s Club of Parsippany – Troy Hills conducted a collection of school supplies to benefit the children serviced by Jersey Battered Women’s Service of Morris County, New Jersey. JBWS provides a safe house and transitional living accommodations for victims of abuse and their children. The Woman’s Club collected over $600.00 worth of supplies, including back packs and lunch packs, from members and friends. We also received a $25.00 donation from Target Brands that was used to purchase supplies. As a result of the generous donations, the children in JBWS will be able to begin the school year equipped with everything they need to do their schoolwork and homework. The School supply drive was headed by club member Cathy Haney (pictured).